What has been happening in January in the world of bakery? It does seem ages since we were all celebrating Christmas and the New Year and wondering were we would be as a business in 2015. We have started as well as anyone could have expected so far given that The supermarkets have totally undervalued the value of the bakery sector. The supermarket retailers have to take full responsibility for the decline in the monetary value of bread as they are the ones who have decided that they are going to use a basic commodity like our daily bread as a driver to get people into their stores. Tesco as we know are in a mess and decided to sell Hovis for 78p,Bakers cannot dictate what they sell at by law so they have no say in it. This undervalues a bakers brand name that has took years of hard work to build up. Big question is though ” will they sell more bread in total”? I don’t think so. The waste i have been informed is very high and it is a disgrace that they do this when there are so many people who are struggling to get by. If you eat 2 or 3 loaves a week as a family you won’t buy more because it’s cheaper. Maybe if Tesco were to reduce their already inflated margins on all their other thousands of lines they wouldn’t have to devalue bread. They still want their over inflated margins by the way from the bakers. 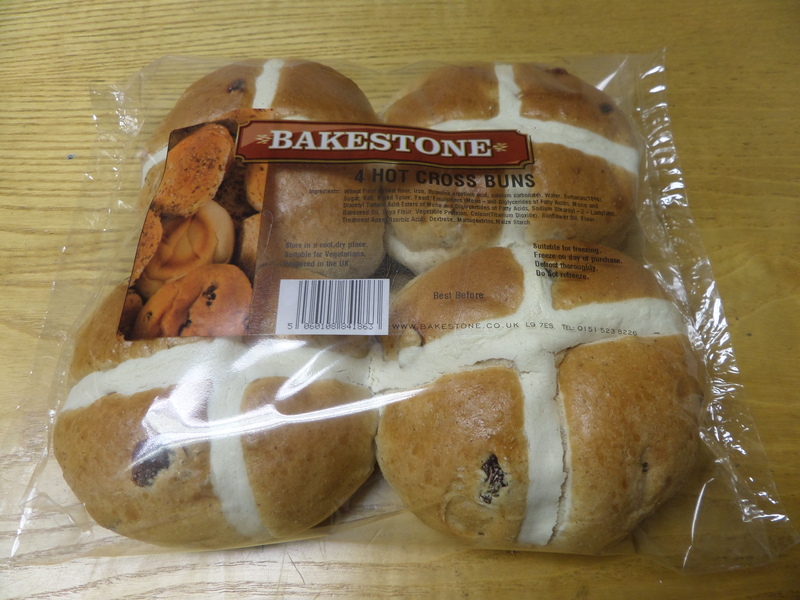 It’s hard to believe that in January we started selling Hot Cross Buns when Easter is 3 or 4 months away. The fact is consumers love them all year round. 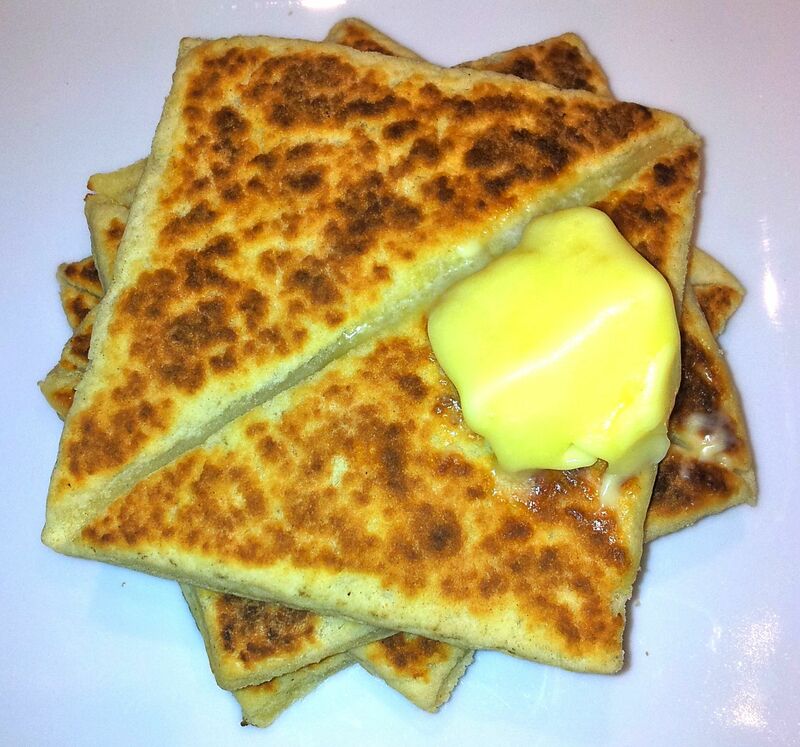 The sticky spicy taste is just the job for a hot toasted treat when you are snowed in like we have been for a few days. In the first 3 weeks we have already sold 42,000 pkts and we don’t even sell our Bakestone to supermarkets. All our sales are through a network of local independent shops. Potato cakes are still selling well, even though the are more of a Northern speciality. I know that certain parts of this country don’t even know what they are. The name is interesting as well Potato cakes. It;s not really a cake is it? maybe that is why the younger generation don’t really know what they are. You still can’t beat them when they are toasted and with baked beans and eggs for breakfast, or is that just me? We are progressing really well with a great team battling the snowy conditions up in the North, the same can be said for our Newcastle and Bradford sites. The managers working hard to ensure the deliveries are getting out there to our customers reliablly and on time given the conditions. Although as we all know a bit of snow and we seem to get gridlocked as the roads haven’t been gritted properly and you look in your rear view mirror and see the glitter stuck in the queue 3 cars being you! Still the new Hethertons-original is showing interest in the Carlisle area. We have sponsored Edenfm a community radio station and as a family business are trying to raise money via sales of our bread to give to a local charity or volunteer group. We only have a handful of customers buying the bread so it is early days yet, but the 5ps will add up if people like our bread and buy into the community idea. We have the 4 Facebook sites , 4 Google+ sites and also 4 twitter accounts so you can see that it is keeping me busy. I have kept pretty active with these sites so that our web presence is always available to consumers to post their thoughts on. We have invested heavily for us into IT. !0 new computers and switched all our software onto Microsoft 365 and that has improved communications throughout our business. We are more efficient now using iCloud for storing documents as well. We have been using online ordering for our customers but unfortunately that hasn’t really tok of as most like to have either a standing order or speak to someone. We like that and it helps keep the lines of communication going. You get to talk to people and see what sells for them and what doesn’t. We have launched our brand new website (long overdue i might add) . I only realised that when I was going through a timeline that is on the front page that I have been working my own business in bakery since 1975. Now that is not extraordinary in some people’s eyes maybe, but as I have told loads of people I am only 39 years old is does cause a problem. Some new product development is happening from us. I can’t share it with you yet, but please come back soon for more info. Have a great February everyone. Coulton’s Bread Ltd, one of the UK’s leading distribution bakeries, is opening a new depot at Kingmoor Park, Carlisle under the Hethertons Original brand name. This will be their 5th site that also includes Liverpool, Manchester, Bradford and Newcastle. The joint venture has created 21 jobs in the area and will provide a more fuel effective way to distribute bakery products throughout Cumbria, and reduce the carbon emmissions by using the latest Euro 6 vehicles and telemetrics technology to reduce excess mileage. Hethertons Original depot opening date is 1st September 2014, will also be supported by a PR and marketing push throughout 2014 across trade and consumer press. 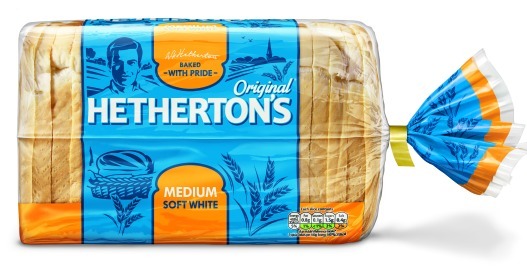 To place an order for Hethertons Original call Coulton’s Bread Ltd on 0800 160 1912. Click this link below to see the product range.